“Wayward Pines” Season 3 fate is still undecided as Fox is yet to confirm its extension. The network executives have not announced the cancellation of another season. That is why fans are hoping that the show might return sooner or later. Also, the executive producer of the series is hopeful of its renewal and even predicted a possible storyline for the next season. For those who are not aware, “Wayward Pines” is a horror, scientific fiction that started in 2015. The first season attracted a good amount of viewership. However, the second season could not get the same response putting the chances of extension for the third season in jeopardy, reports The Christian Post. Will Fox Confirm Wayward Pines Season 3? As of now, no one from the Fox network is ready to talk much about the renewal of the horror series. However, there is a ray of hope for the fans. The chief executive officer of the channel Dana Walden recently dropped a positive hint. She said that the “Wayward Pines” Season 3 is still under discussion. Hence, there is very much a possibility of its renewal. However, according to Walden, the production team and director of the show must come up with really a compelling plan for the next season to ensure renewal. Also, there is a strong possibility that Fox network officials are trying to check the response of the audience for the “Wayward Pines” Season 3. Things are indeed looking bleak for the third season. However, author and executive producer of the series, Blake Crouch is positive of getting an extension. He already has a storyline in the mind. According to him, the story for the Wayward Pines Season 3 will focus on what will happen if a man faces his own extinction, reports Starz Post. Crouch said that it would be the first time self-aware species will be on the brink of getting wiped out from earth. The story indeed sounds different and innovative. Now, only if it can catch the interest of Walden and other team members of Fox network, fans might get to see it come alive on Wayward Pines Season 3. We all know that Wayward Pines season 2 ended with something which left fans wondering what could happen in the next season of their favorite show. In the final episode of the next season, we saw how well Abbie’s family is trying to survive through all the difficulties they are facing and how they are starting a new life with a newly born human baby. In addition to this, at the end of the episode, we also got to see some characters getting in their pods to go to sleep for a while. Because of this, fans started wondering exactly what could happen next as they considered this a major cliff hanger. However, according to the author of the novel on which the series is based on, Blake Crouch, the ending was pretty simple and fans could clearly judge what could happen next. Is Wayward Pines Season 3 Going To Get Cancelled? 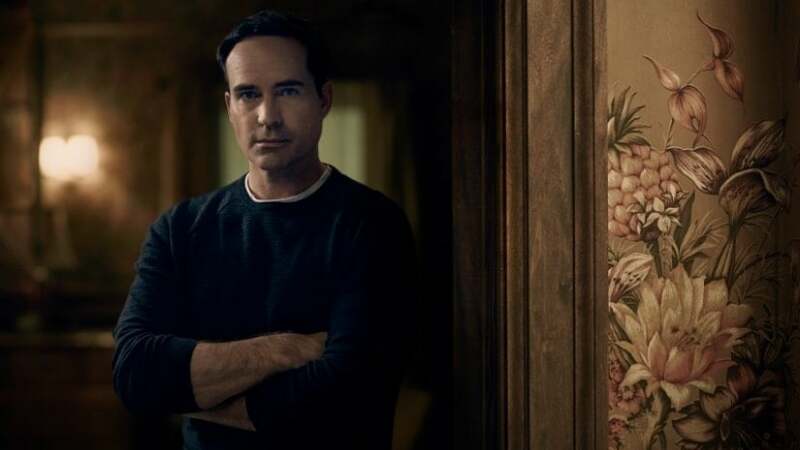 The second season of Wayward Pines left a lot of questions unanswered and fans are currently hoping they would get the answers in the next season. However, as FOX is yet to confirm the third season of the show, many fans are currently wondering whether it is going to get cancelled or not. The previous season didn’t get critical reviews but it still managed to cross 2.4 million viewers per episode. Recently, during the Television Critics Association, David Madden, the entertainment president of FOX discussed the fate of Wayward Pines and some other shows. According to him, Wayward Pines season 3 has not been cancelled yet, but it won’t be out this summer. He further claimed that they are currently talking about it, and if it happens, fans will know soon enough. Wayward is not canceled, but it will not be on this summer. Waywarddidn’t come together quickly enough for us to have it this summer; there have been discussions about casting. We’re still talking about it, it’s possible you’ll see Wayward at some point back on Fox. But we are focusing a little bit more heavily on unscripted this summer. So this pretty much answers the question many fans had in mind that is Wayward Pines season 3 cancelled or not, but they should keep in mind that it can still happen. Wayward Pines Season 3 Air Date Might Be In 2018? Although the entertainment president of FOX has confirmed that the next season of Wayward Pines is not cancelled yet, but we still don’t know when it will arrive, that is of course, if it actually happens. David Madden did claim that season 3 is not going to arrive this summer, meaning that Wayward Pines season 3 release date is not going to be set in 2018. Because of this, it is easy to say that we might get to see the next season in 2018 as 2019 is going to be too late and FOX won’t want its fans to wait for too long to find out what will happen next.